Bikes showing as in stock we aim to build on Tuesday 23rd of April. Don't forget to choose your custom options, and look at the amazing deals on wheels too! Frame: You can't just stick a long travel fork in any old frame and get it to work. Frame geometry is more than looking at one number. We design our hardtails to work properly in all conditions, and we've been doing it for longer than anyone else. So we know our numbers work. Sat on the bike the suspension fork compresses to give numbers that work in real life, not just on the geometry chart. This is no super-stretched out, pedal dragging look-alike. 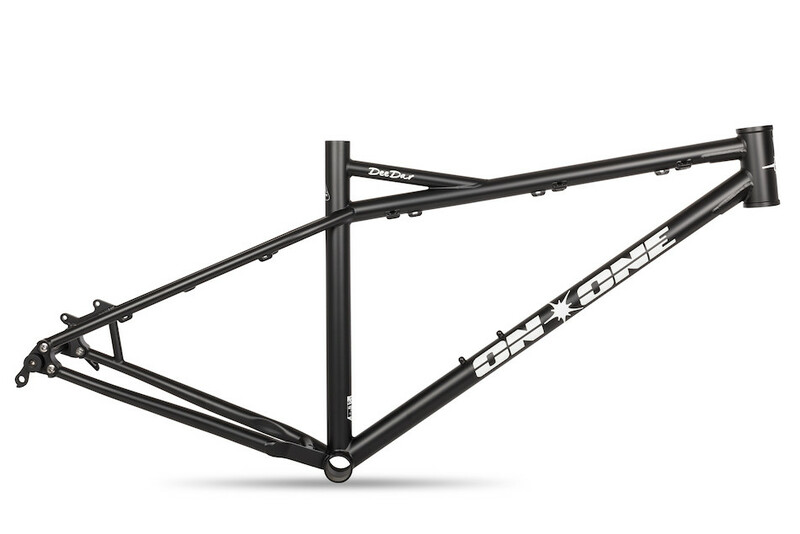 This is a hardtail that's designed to hammer. We use the right size tubing for the job - matching smaller diameter thicker walled tubing to give a supple tuned ride over thin walled fat tubed harshness. They'd be the same weight, but our way gives you extra traction. With a seat angle that sits at a perfectly poised 74deg for uphill climbing, weighting the 425mm chain stays perfectly for killer steep climb traction. Balance is everything. On the bike, you've a reach dimension to give you perfect control and fore-aft balance (450mm L, 438mm M, 415mm S) which gives perfect steering with a 35-50mm stem, giving you control without needing hugely wide bars to control the front wheel. No chopped out slacker, or slacked out chopper - this is a bike that carves and hammers the twists and turns like your favourite youtube edit. In control. On the edge. The back end is designed just for 1X drivetrains, so we've been able to maximize the tyre clearance while still keeping the back end ultra short and playful. The rear drops are bolt in units - for maintenance and future proofing. Groupset: SRAM NX1 proves that SRAM have totally nailed 1X drivetrains and now we're ready to bring them to everybody, NX removes the price barrier to entry- forever.. We've long been fans of the simpler one-up-front set-up, and this groupset manages to eliminate all those sore points that prevented previous perfection. Chain retention is faultless thanks to the X-Sync chainring; no more deflected chains, strong performance in muddy conditions - it's next level. Shifting is on-point and solid thanks to the horizontal parallelogram X-Horizon rear mech design. Doesn't mean much? 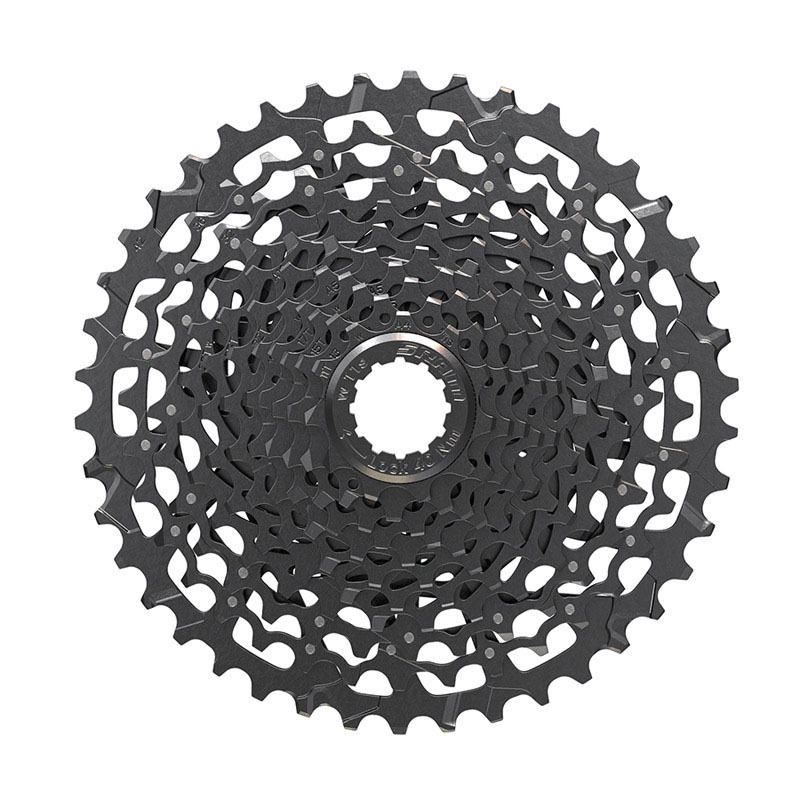 Well, in performance terms it's faster, reduces shift force and does away with ghost shifting and chain slap, whilst increasing stability and precision across the entire range of the 10-42T cassette. This is pretty much the best VFM groupset available right now. Wheelset: Hand built by experts, FSAs Afterburner wheelset offers rock solid off-road performance. They are billed as their do-it-all XC-Race-Trail and Adventure wheelset and we can see why. Built on strong and light asymmetrical rims and laced up using straight pull spokes these wheels are light and strong. They spin on fully sealed stainless-steel cartridge bearings and a 6-pawl freehub design. The DEEDAR has been EN tested with forks up to 160mm in length. We do not recommend using forks longer with more than 160mm travel as this may void your warranty. Buy, ride, smile. It's that simple, it's how bikes should be. Please Note: All customisable options will be fitted by our trained mechanics. Tyres Vittoria Mezcall II Folding Tyre / 27.5" / Black / 2.1"
NX1 is SRAM's new entry level 1x groupset. 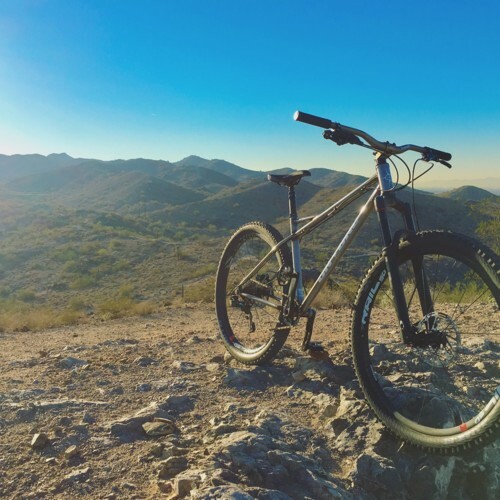 With a single front narrow-wide chainring, clutch rear mech, and super wide ratio cassette, it's the perfect introduction to mountain biking. The frame is stunning and can handle anything i throw at it! Buying a bike from Planet X? Our prices are lower than the competition because we sell direct to you the customer; there are no middlemen to take a slice of the price you pay. We design and build everything ourselves so you get exactly what you pay for and that includes amazing service and unrivalled value for money. You can buy from us in three different ways. You can call into one of our showrooms and try the bike you want before you place your order. You can order online via our website, or if you're too busy to call into the shop but would like advice on sizing and specifications then you can email or call our customer service dept. You'll receive the same great service no matter how you buy. 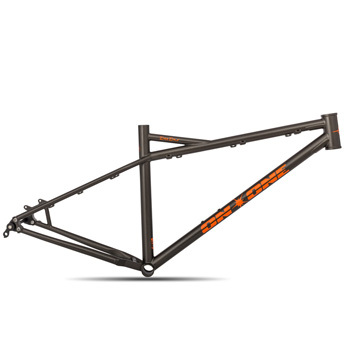 Simply select your frame size and colour below and choose from the range of customisable options. Your bike will then be passed to one of our expert mechanics to build YOUR bike exactly the way YOU want it. We design and assemble every bike we sell right here in Yorskhire. We work with the leading component vendors and fabrication facilities to create bikes of unrivalled performance and value for money. Can't see the upgrades you want on your bike? Give us a call today and we can build the custom bike of your dreams. 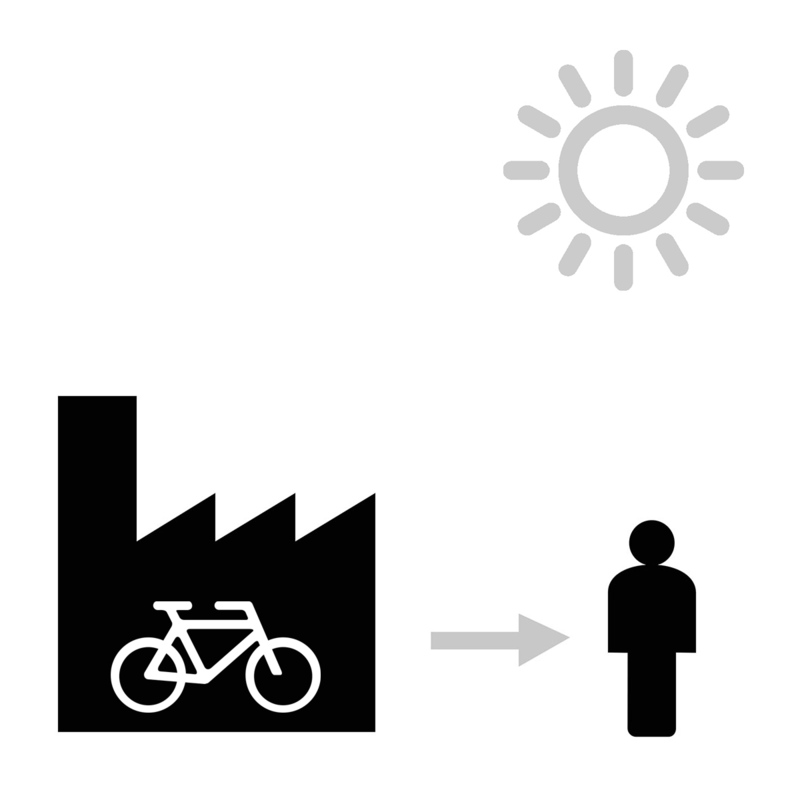 Build your bike in 3 simple steps. Handlebar Our standard build is usually perfect but you can choose a bar that suits your needs. Saddle Have a preference on saddle design or simply want a lighter saddle? Upgrade now! Stem Our standard build is normally great, but you can change the geometry of your ride and get the right fit - choose the stem length that's right for you. Bottle Cage We're famous for our bottle cages, don't miss out and treat your yourself to a bottle cage for your new bike. Pedals New bike? Get some new pedals!